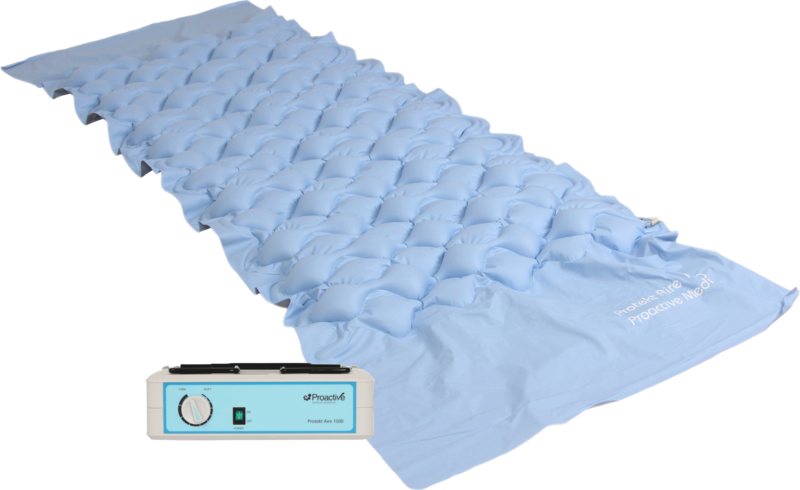 Protekt Aire 1500 Adjustable Alternating Pressure Pump & Pad with Flaps. 35-1/2" W x 78-1/2" L.
Enables clinician to control interface pressure by adjusting air flow. Manual air flow adjustment knob to adjust air flow. Medical grade fire retardant PVC. Decubitus Pad 16" X 18"